50 common questions we get about local search engine optimization (Local SEO). We provide the answers to those questions. 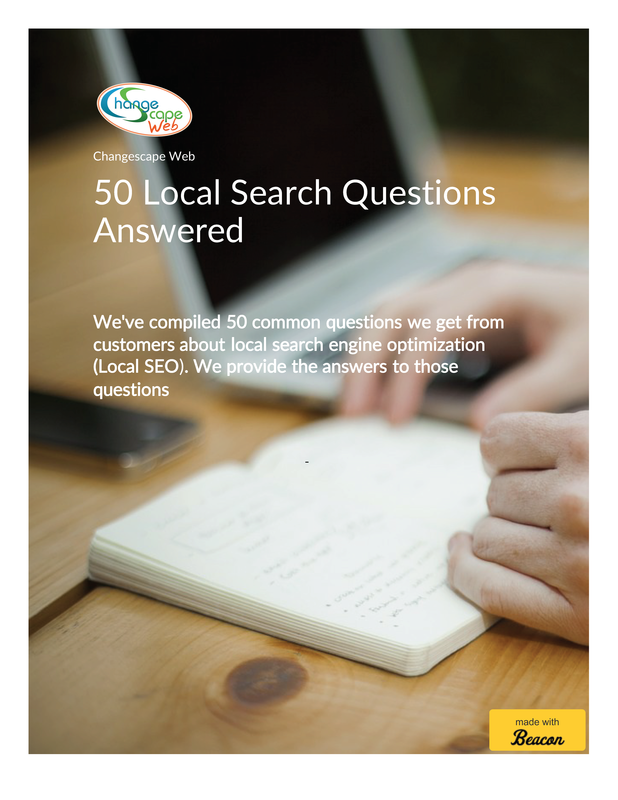 This ebook answers 50 questions about local SEO. Fill out the form below to get your copy! Local SEO has become extremely important - being found on Google Maps, as well as the increasing importance of being found through searches on mobile devices, is no longer a nice to have but a necessity.